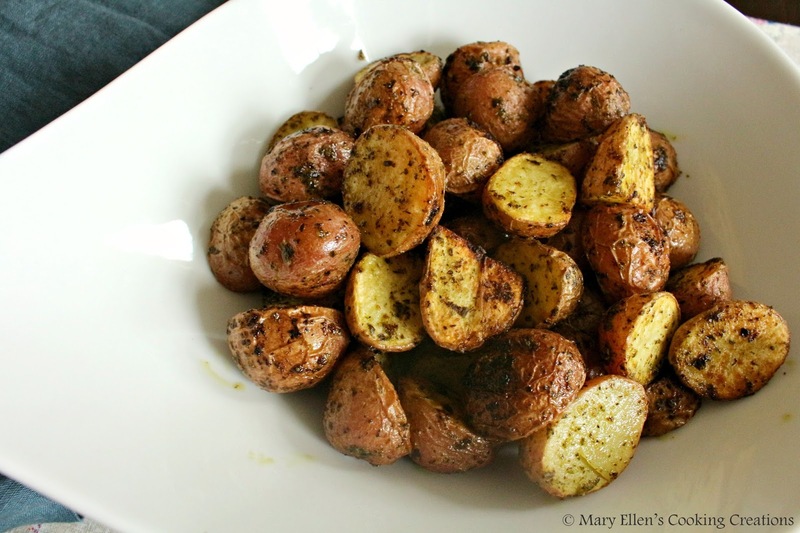 I tend to make roasted potatoes in the fall and winter as they can be a bit heavy and you need to keep your oven on for a while. 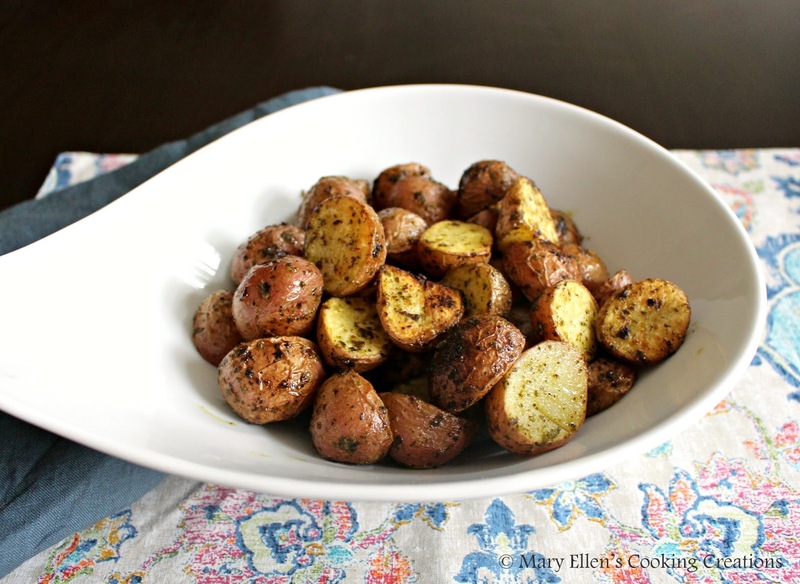 Using small, new potatoes cuts the time in half, and the flavors of lemon and garlic turned these roasted potatoes into a summery side. I used my handheld immersion blender to combine lemon juice, zest, garlic, parsley with some oil, salt and pepper. 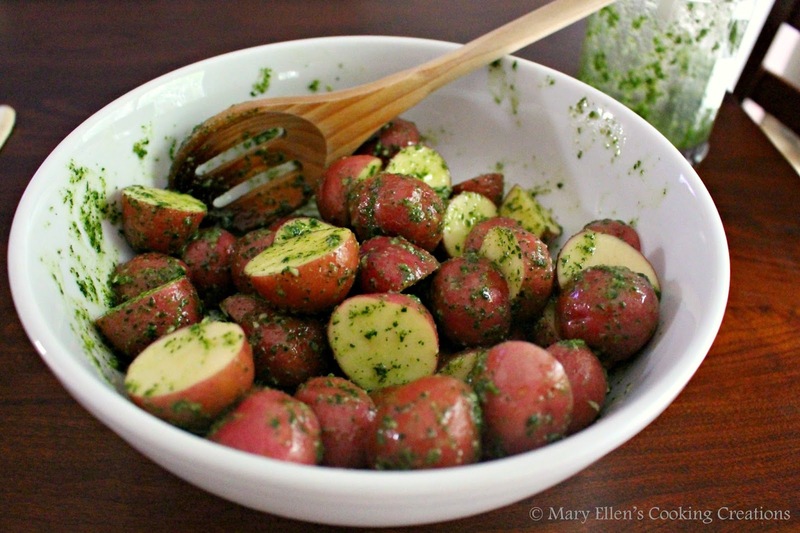 A quick toss with the potatoes and then into the oven for 20-25 minutes - look at these beauties! Using a metal pan for roasting really helps to give these potatoes a nice crust on the cut side. 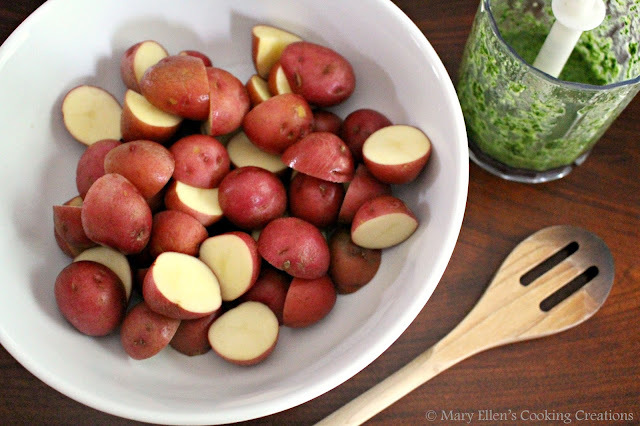 Start with them cut side down before tossing them around halfway through the cooking. These potatoes are the perfect summer side and the leftovers go great with eggs for breakfast! 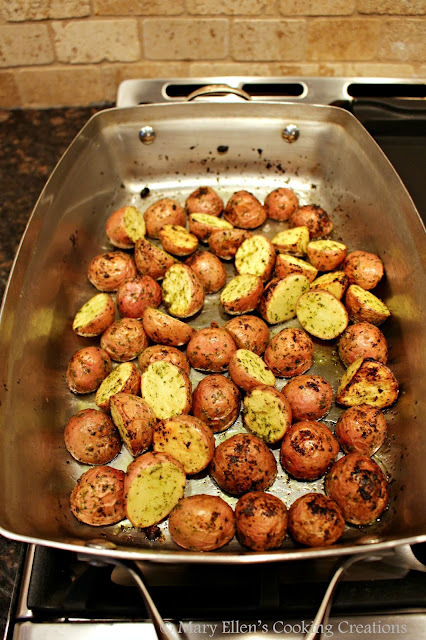 Roast for 20-25 minutes, flipping the potatoes once halfway through, until crispy on the outside and cooked through on the inside.